Redefining the Face Of Beauty : What is Bitter Almond Oil? What is Bitter Almond Oil? There are two main types of Almond Oil: sweet and bitter. If you have not read about Sweet Almond Oil, please read Part I of our series on Almond Oil. 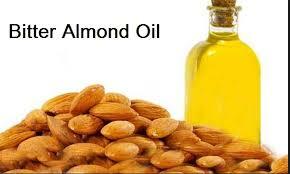 In this article we will focus on bitter Almond Oil. Bitter Almond Oil is used worldwide. Believe it or not, it contains a poisonous chemical called hydrocyanic acid (HCN), which can cause serious side effects. Historically, in certain it has been used for cooking, but because of its toxic ingredients, it has been banned in the United States. However, a synthetic version of Bitter Almond Oil can be found available from bakers’ supply shops or online. This particular Bitter Almond Oil is processed to be free of prussic acid and is generally recognized as safe for food additives. In addition, there have also been claims that Bitter Almond Oil can be used as a supplemental Cancer treatment because it contains amygdalin, which may be used to create laetrile. Laetrile has been used worldwide as an alternative cancer treatment. However, since there has been no clinical evidence to suggest that this method works, it has been banned in the United States and certainly is not supported by Redefining the Face of Beauty. In fact, experts at the American Cancer Society report that the side effects from the oil mimic the symptoms of cyanide poisoning, including possible death. Bitter Almond Oil should be used only under a doctor's supervision. It has antiviral, anti-bacterial, anti-itch, anti-fungal and anti-spasmodic properties. In addition, Bitter Almond Oil is used as a filler in many over-the-counter and prescription medications. For example, it is used as cough suppressant, local anesthetic, sedative, pain suppressant and a diuretic. Bitter Almond Oil cannot be ingested directly. The medicinal qualities are derived from the center (kernel) of the bitter almond, which may be used for spasms, pain, cough, and itch. In addition, Bitter Almond Oil is typically harvested from North Africa and Western Asia, and grown historically by countries that border the Mediterranean. In ancient Rome they even used bitter almond oil to treat intestinal parasites and fevers.